While Mutare has produced soccer legends that are now playing their trade abroad, the history of soccer in the eastern border city cannot be completed without mentioning the name Sicho Masachi. Masachi is one of the forgotten soccer legends in Manicaland yet all celebrated names in the most followed game from the eastern border city passed through his hands. While his efforts seem not to be appreciated by those he helped to become legends, Masachi has proved to the world that passion cannot be substituted by riches of the world. He remains resolute and determined to see that grassroots soccer in the province scales to greater to heights. Masachi runs a football club La Sakubva which has become a household name in football circles. One cannot talk of junior soccer in Mutare without mentioning the name La Sakubva. The reality of life is that those empowered turns to forget so easy but our tradition taught us that one should never forget his background and those who raised you to be what you are today. So sad that Masachi dream of raising the standards of soccer in the province looks gloomy because those he helped to become stars of the world have turned their backs on him. 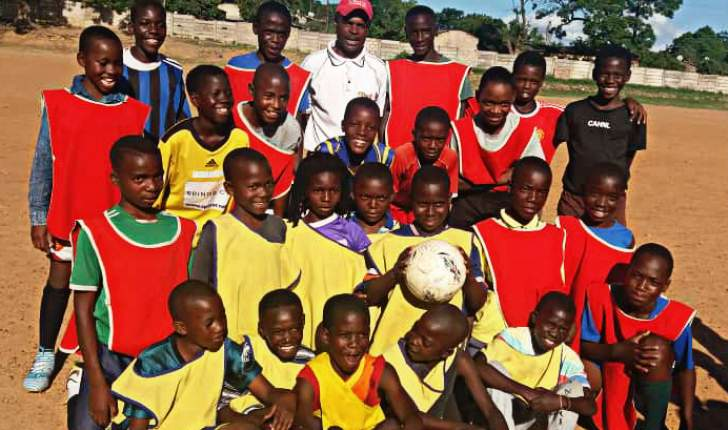 Despite the fact that La Sakubva produced household names in the game of soccer, the club is facing a plethora of challenges ranging from shortage of basic training kits, uniforms and football boots. Masachi said it pains him that standards of soccer in Mutare continue to plummet but there are people who can chip in and help nurture talent. In an interview with this paper, Masachi poured his heart out and pleaded with top flight players such as Washington Arubi, Onismore Bhasera, Willard Katsande, Liberty Chakoroma, and Tichaona Mabvura to look back from where they came from. "My heart bleeds when these upcoming players struggle to access resources such as footballs and kits yet I groomed household names in the game of soccer both locally and internationally. "All those names I mentioned above passed through my hands and I am not forcing them but I feel they are obliged to plough back to the society that raised them. "We should leave a legacy of nurturing and grooming talent. We can't leave our talent going down the drain. As leaders we should help the upcoming players," said Masachi. He said he was receiving assistance from a few local individuals but it was not enough to meet the needs of the players. Masachi said his dream is to see La Sakubva becoming one of the most successful soccer academy in the country. "My dream is to see La Sakubva club becoming a successful academy and we need support to achieve this dream. Manicaland should be a home for the soccer gurus," said Masachi. The veteran coach left ZUPCO were he was coaching in 2002 to form La Sakubva after he was frustrated by lack of support for the club. While Masachi continues to extend his begging bowl for a worthy cause, successful players should not forget where they were groomed to become house hold names. A classical example of a player who ploughed back to his former club is Knowledge Musona who bought his boyhood club Aces Academy a mini bus. All Aces former players extend an olive branch to their club by donating some funds to sustain its operations. "We should not forget from where we came from. We have a role to ensure that our communities are developed," said Masachi.